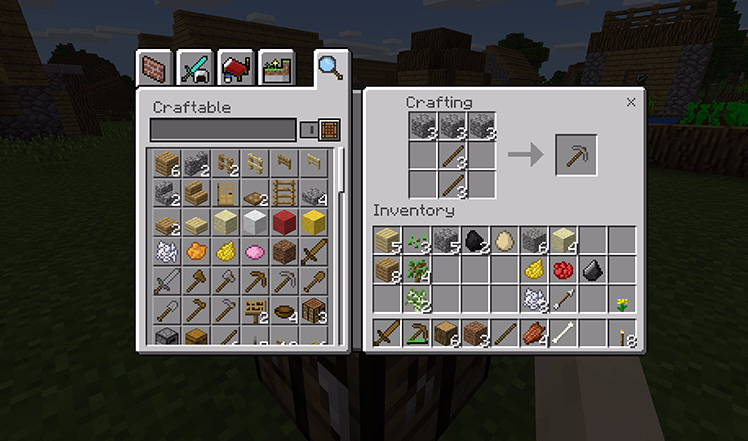 One of the major problems with Minecraft is the number of different editions, with varying level of multiplayer cross-play. This stems from different code bases – the console versions are based on the original Java game, while Pocket/Windows 10 Edition use the same C++ code base. But the upcoming Minecraft PE 1.2 update, nicknamed the ‘Better Together Update,' aims to address this. The main new feature in this update is cross-play with Xbox One and Nintendo Switch players. It's not entirely clear if the current console edition is being replaced, but Mojang says existing owners of Xbox One Edition or Switch Edition will “receive the brand new version of Minecraft for free, and your existing worlds and DLC will come along to the new version with you.” The new version will simply be called ‘Minecraft,' separate from the various Editions and the PC version (which is now called Java Edition). A beta version of the Better Together Update is available today for Windows 10 Edition and Pocket Edition, but you won't be able to try out the cross-play yet. The Xbox One beta required for cross-play will arrive in a few days, but there's no word on a Switch beta (I'm not entirely sure if the Switch's eShop supports beta programs). If you want to sign up for the beta on Android, you can join it (or leave it) here. It probably goes without saying that you have to own the game on Google Play first. To join the Xbox One beta, check out the instructions at the source link below.